The Canadian Trails Federation is a united voice for trails throughout Canada which will link communities and meet the needs of diverse cultures and trail users for their outdoor recreation and healthy living. La Fédération canadienne des sentiers est une voix unie pour les sentiers à travers le Canada, qui permettra de relier les communautés et répondre aux besoins des diverses cultures et les utilisateurs des sentiers pour leurs loisirs et la vie saine. 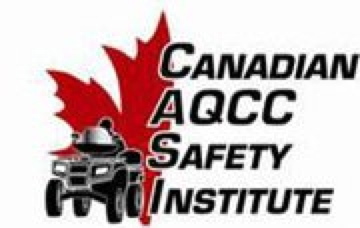 Renfrew County ATV Club needs a sign supplier. They have asked Ontario trails to make a request through its national groups for any leads on signage. 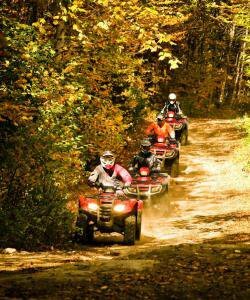 Renfrew County ATV Club a besoin d'un fournisseur d'enseignes. Ils ont demandé aux pistes de l'Ontario de faire une demande auprès de ses groupes nationaux pour toute piste sur la signalisation. She said the federal ParticipACTION active living campaign remains on target, encouraging activity and exercise as part of everyday routines. By MEAGAN WOHLBERG, SRJ Reporter Cadets from 14 units across Nunavut, the Northwest ...and training on trails at the Boyle Barracks training site. The continuous trail from Grand Forks to Christina Lake will be connected to the Trans Canada Trailalready in place. Perepolkin's project is one of the .. The MRTA/Trans Canada Trail Group held a meeting last weekend in Beausejour. The "Borders to Beaches" group is pursuing to add the Northstar trail to their trail system. Anyone who is familiar with the TCT knows that they are anti-ATV. We need to make sure that this does not happen! ... council has something to say to people complaining about their decision to ban ATVs on theTrans Canada trail in Princeton: the ban is here to stay. Rhonda Lemire, executive director of Recreation Nova Scotia says that despite ... use of our trails, and getting to and from places without using your car. The head coach of the Alberta cross-country ski team is busy doing the snow dance with the Special Olympics Canada Winter Games only two weeks away. I mean, we're always talking about health and wellness and participaction, and why not have the facilities free of charge?" said Redmond. Donnie O'Keefe of the Newfoundland and Labrador Snowmobile Federation said he believes riders have tried to skim across the wet areas on the trails. “We were the first place north of the settlements of Upper Canada. ... lesson about the Underground Railroad, the Trans-Canada Trail and first settlements. Imagine Canada. February 7 2012. The Imagine Canada website has posted a glowing review of Five Good Ideas: Practical Strategies for Non-Profit Success. Along with Alex Harvey, son of Pierre, and the rest of the Canadian team, Kershaw has created the expectation of excellence for Canada in Nordic skiing. He is consistently the top Canadian. We expect Canada to place in the top 20. Randy Moratz is this week's winner of the Sudbury Star Outdoors Photo Contest. "This male pine grosbeak was part of a flock that showed up at my feeders," Moratz wrote with his submission. He wins four passes to Rainbow Cinemas. Groomers throughout the province are all funded on the sale of trail passes through theNewfoundland and Labrador Snowmobile Federation. Now the big draw is tourism and more particularly skiing in the winter and golf, mountain biking and hiking in the summer. "What we offer that is different from Banff is a low-key atmosphere. It's not quite so touristy and busy. As the sun set in the Canadian Yukon Saturday night, frontrunning Two Rivers musher Allen Moore pressed on into the twilight, aiming to forge a gap between him and his pursuers in the 1000-mile Yukon Quest International Sled Dog Race. 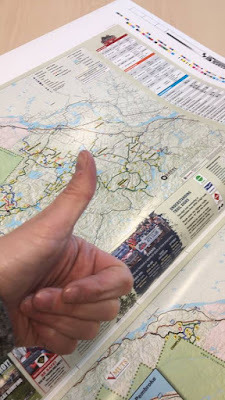 Ontario Trails News - Information about Ontario's Trails, Ontario Trail Events and Ontario Trail Partners!